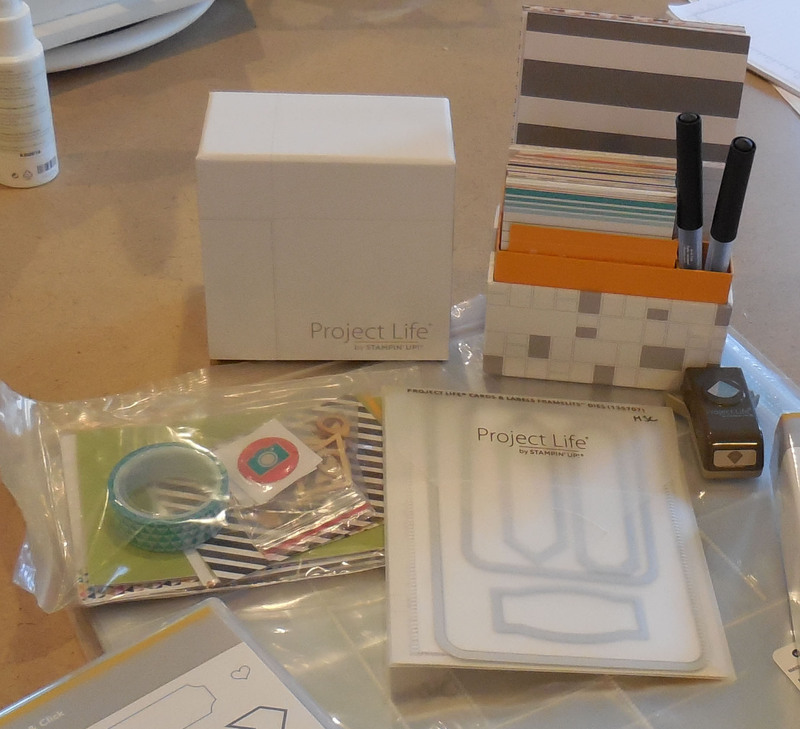 Home Project Life Project Life is Here! Marilyn SanClemente April 24, 2014 April 24, 2014 Project Life, scrapbook pages, Scrapbooking, Stampin' Up! I am so excited!! Stampin’ Up! 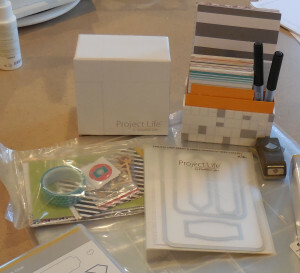 has patterned with Becky Higgins the designer of the Project Life style of Scrapbooking!! I received my pre-order of new products yesterday!! I love it and can’t wait to dig in! 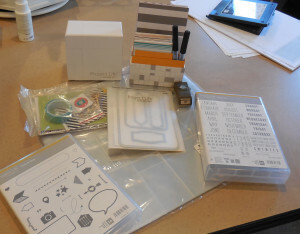 The Starter Kit has 2 stamp sets: Point & Click and Day to Day. Day to Day has all the months of the year, the seasons and days to place dates to document dates and timeframes! Point & Click has cute word bubbles and lots of symbols to enhance your pages! There is a Framelits set that matches this set to cut out labels. There is a great box to hold your journaling pens and Project Life cards! I can’t wait to start creating!! Stay tuned – you will be able to order your own set on May 1st – that is Next Thursday! !